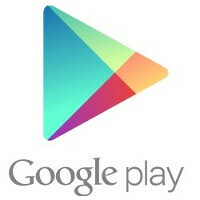 Google is continuing to encourage the connection between developers and users and now the company behind Android has allowed developers to respond to user reviews on Google Play. “The feature originally rolled out to top developers, and we’re gradually expanding it to additional Google Play developers,” a Google spokesperson said. The feature first launched for top developers in June 2012, and now all developers are getting the privilege to reply to users’ comments. Google has not officially unveiled this new functionality yet, but has instead quietly allowed devs to get in touch with users. For developers this is a chance to improve on an initially bad rating of apps, and thus polish the image of their applications. And it’s a big one as a lot of people take decisions on apps based on their user rating. Apple: i have to sue Google i had this in my mind. How about letting us post reviews without a Google+ account... I don't have, or want a Google+ account. I'd like that back AND allowing devs to comment. Thx.